Call to order food delivery or place an order for takeout. 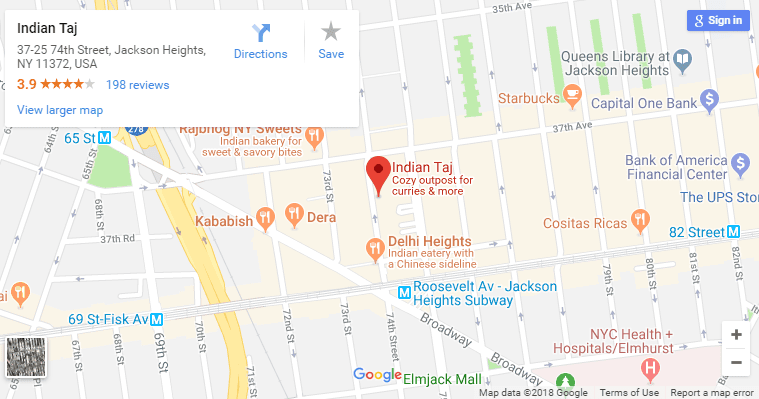 contact Indian Taj of Jackson Heights to make reservations or find the daily specialties on the dinner menu. call 718-651-4187 for food delivery to Jackson Heights.